I could go on forever about this day and this couple and this wedding celebration. 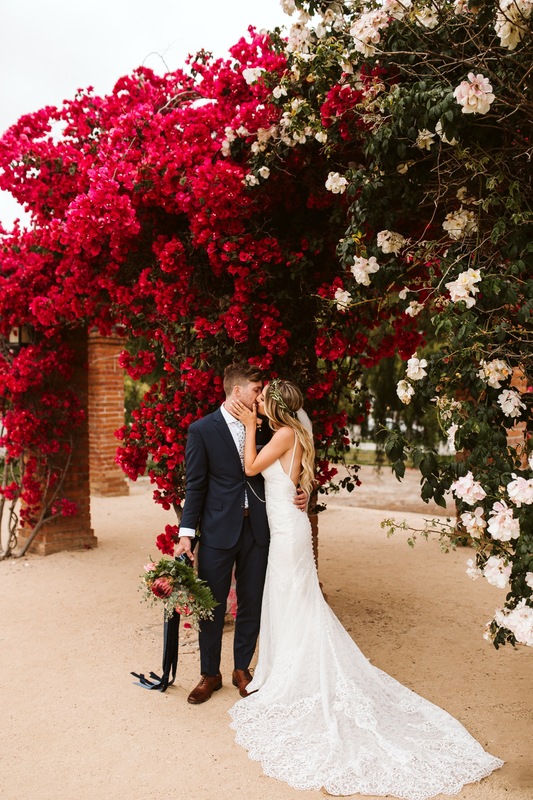 Everything was gorgeously designed (from their beachy, spanish-style venue to their matching checkered Vans and hats at their reception) to perfectly capture this couple’s rad vibe. Their bridal party was massive and full of all the people that mean the most to them. Their energy was upbeat and epic. Their first look was so emotional and tenderly intimate. Their ceremony reflected their love for each other and for God. We danced all night long, including a nice lil’ lap dance for the bride. Oh and they’re both smoking hot, so that never hurts either. All together, the day produced some of my favorite wedding images I’ve ever taken. One of my personal favorite parts of this day: Amanda had never seen Asher cry in their whole 4 years of dating and being engaged…and Asher cried basically all day long. As we waited for Asher at the venue’s casita so he could be set up for their first look, my second shooter texted me to say they were running a little behind because he had an emotional breakdown on the way over. We set him up in the courtyard for the big reveal and he cried the whole time Amanda walked towards him. Then we got the whole bridal party together to take pictures and a few quick formals . We had probably spent an hour to an hour and a half all together by the time we were ready for the ceremony, but as Amanda made her way down the aisle with her father, Asher broke down again. He looked right into my lens, eyes filled with tears, trying to stifle a sob and WOWOW I was Kim K crying behind my camera. Congrats to Mr. and Mrs. Gable!! I frickin’ love you guys. Are you looking for a photographer to artistically capture all the emotions of your wedding day? You've come to the right place!